Germany, the Federal Republic of Germany, is located in western-central Europe, and consists of 16 constituent states. The country is home to about 82 million people, making Germany the most populous member state of the European Union and thanks to its central location within Europe, Germany is a major air traffic hub for the entire continent. Whether you’re flying private for a luxury vacation, business meeting or special event, our Germany private jet charter service can arrange a luxury jet to/from any travel destination in Germany and neighboring areas. Travel to Europe using our Germany private jet charter service and arrive in style for your next trip. 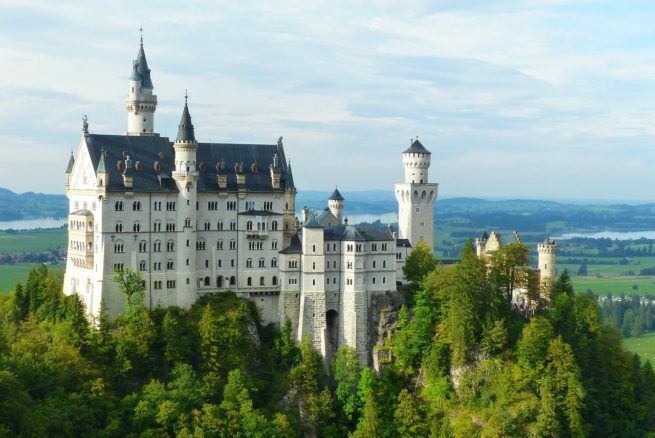 Fly privately into one of the following destinations within Germany. This list of destinations is based on Jet Charter Europe clientele requests, local attractions, and online reviews. Many of our clientele choose Berlin or Munich as their destination when flying privately to Germany. Berlin is one of our top European destinations for private passengers and a top city to visit in the world. The most ideal months for local travel depends on the individual, as the entire country can be enjoyable throughout each season. The peak of tourism in Germany is during warmer summer months, June to August. If you’re looking for a relaxing time with less crowds, late spring (April-May) and early fall (September-October) are great times to visit. Request a Quote or give us a call at 1-888-987-5387 to speak with one of our Germany private jet charter brokers for your next luxury vacation, business trip, or special event.